There are many ways that you can make an impact with your gift to the College. Two of these are the Collegiate Fund and endowments. The Collegiate Fund invests in the education of the College’s students; for those who give to it, the fund is also a way to continue the traditions of excellence and opportunity for which the College is known. The Collegiate Fund provides scholarships to students, travel and teaching grants for faculty, and funding to departments for special equipment, technology, guest lecturers, and more. Why give to the Collegiate Fund? Collegiate Fund Scholarships are there when others aren’t. When deserving students have exhausted ways for partial scholarship assistance, the Collegiate Fund is there to fill the gap based on need, with scholarships ranging from a few hundred dollars to partial tuition level. 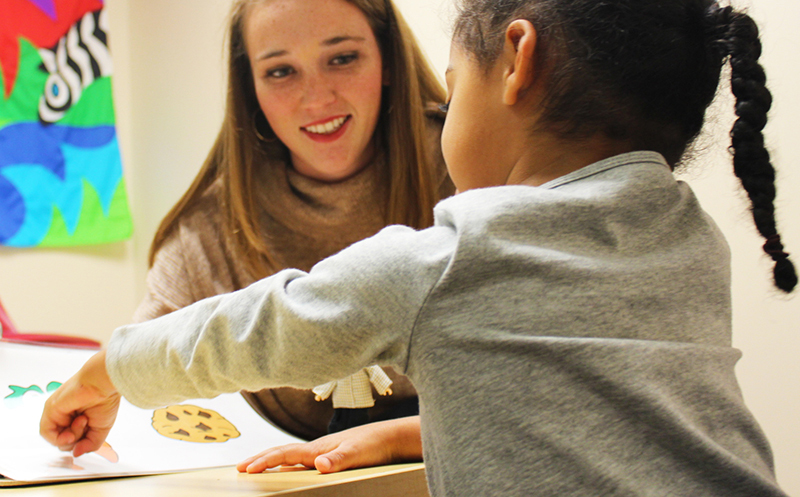 How does the Collegiate Fund support innovations in teaching and learning? A special piece of equipment. Summer funding to develop an awesome new course with technology. A gathering of experts to explore new ways to enrich student learning. Modest travel grants to research sites. These are some of the ways Collegiate Fund Teaching Grants support faculty teaching innovations. Ranging from a few hundred dollars to a maximum of $2,000, Collegiate Fund Summer Teaching Grants provide for student learning research and materials that departmental operating funds cannot cover. What is the Collegiate Fund Endowment? The Collegiate Fund has made possible the Collegiate Fund Endowment, which provides for renewable annual Collegiate Fund Scholarships from interest received on the endowment. A gift to the Collegiate Fund Endowment provides for a perpetual source of scholarships. Your gift to the endowment will continue to touch the lives of deserving students far into the future. How does my contribution support the University? More than one-third of the University’s undergraduates are enrolled in the College, making it UA’s largest academic division. The College’s courses comprise some 80 percent of the University’s core curriculum, the basis of every undergraduate’s education. That means that every student on campus feels the Collegiate Fund’s benefits. Giving to the Collegiate Fund is an opportunity to make a major impact on the University. Can I increase my gift through a matching gift program? You can double or triple your gift if you work for a company with a matching gift program. If your company participates in such a program, please obtain a matching gift form from your personnel office and include it with your contribution. Your employer will receive full credit for a matching gift. Join us in enriching the academic life of the College of Arts & Sciences by contributing to the Collegiate Fund. Give to the fund now, contribute to the Collegiate Fund Endowment, or contact Kevin Reid, Director of College Support Boards, at (205) 348-7009 or krreid@ua.edu. You can also find detailed information about ways to give at giving.ua.edu.  An endowment to the College of Arts and Sciences is a gift that is intended to permanently support a College program chosen by the donor. The endowment fund remains intact in perpetuity, while its earnings support students, faculty, and programs designated by the donor. Endowments allow the College to create and maintain excellence in academics beyond what can be accomplished with funding from the state. Endowments provide the funds for scholarships, fellowships, professorships, academic chairs, libraries, and programs that serve as crucial elements in student and faculty recruitment and retention. The reasons for creating a named endowment are varied: the satisfaction of supporting academic excellence; the gratification of furthering important research; the pleasure of honoring a spouse, family member, or colleague in a way that is meaningful to him or her; the comfort of memorializing a loved one with a living legacy. Additionally, creating an endowment may result in tax savings and other financial benefits that may enable you to give more than you might have thought possible. Perhaps the most rewarding aspect of establishing an endowment is that it allows you to directly accomplish your philanthropic goals while helping the University fund its initiatives. How do you create an endowment? The gift for endowment purposes may take any of several forms. It can be an outright gift of cash or a gift of appreciated properties such as securities, real estate, and tangible and intangible personal property (art, books, copyrights, oil and gas interests) acceptable to the College. Endowments can also be created through a gift by will, a charitable trust or other life income plan, retirement plan assets, or an insurance policy. Gifts may be given or pledged over a number of years. You can also add to your endowment beyond the initial funding level through lifetime gifts, bequests, and beneficiary designations from life insurance or retirement plans. Many businesses and corporations have matching-gift programs through which they match — and may double, triple, or increase by even more — donations made by employees. Participation in such a program enables your endowment to reach higher levels faster. When the gift or pledge is received, a memorandum of agreement (MOA) will be executed between you and the University. The memorandum outlines the terms and conditions of your endowment gift. The University will then administer your fund according to the terms of the agreement. The University cannot change the memorandum without the expressed consent of you or your designated representative. *The funding levels established by the University may be modified from time to time to meet the rising costs of education and programs. For more information about endowments, contact us at (205) 348-7007. You can also find detailed information about ways to give at giving.ua.edu.